If there is one thing that I buy more than makeup, it’s skincare products. I have no choice really since my skin is so needy! I have to look after it because it’s acne prone and so I am constantly adapting my skincare routine to give it what it needs. This means that I have, and will continue to try, a lot of skincare products. This year I have also tried many new haircare products, and since my hair is like a horse’s mane, I really do need to use effective products. You may have heard of Lush Sleepy Cream and the This Works Deep Pillow Spray? Both products claim to relax you and put you to sleep. The issue for me is, they both contain lavender and I HATE LAVENDER! It makes my head spin. 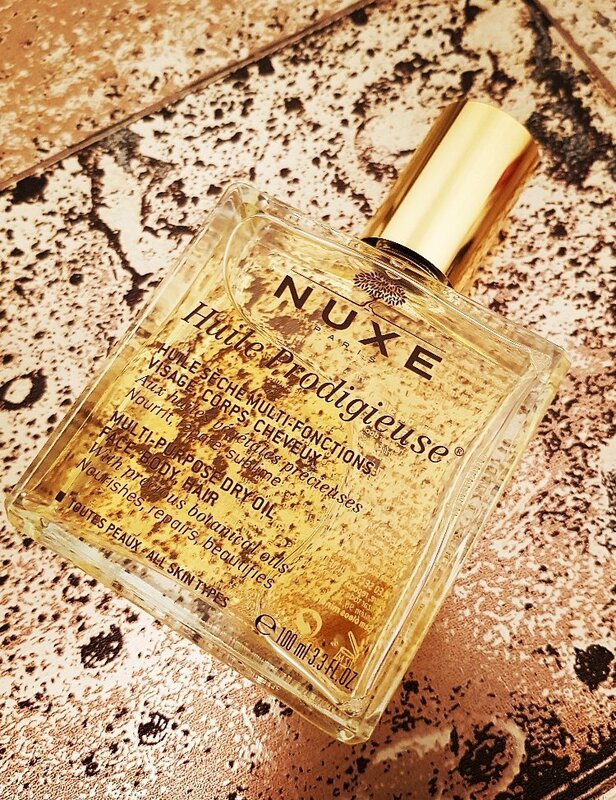 Luckily, the Nuxe Dry Oil is the equivalent for me. I drown myself in after my shower and the smell relaxes me like nothing else. It’s a dry oil so it absorbs super quick and doesn’t leave a greasy residue on your skin. As the name suggests, it’s multipurpose, so you can use it on your hair and face as well as your body. Another thing I find this product fantastic for is breaking down fake tan! As I said, I apply this all over me after I shower and I really find my tan wears off evenly rather than scaly. I have used this product for years. Although, it ran out a few months ago and I forgot to repurchase, I hate when that happens! I won’t be without it again. Price: €16.45 here which is the cheapest I’ve seen to date. I had been on the hunt for an eye cream for months. I’m in my late 20s now so I need to start paying attention to the area around my eyes to prevent fine lines and wrinkles. I have bought a good few eye creams in the past and never loved any of them. 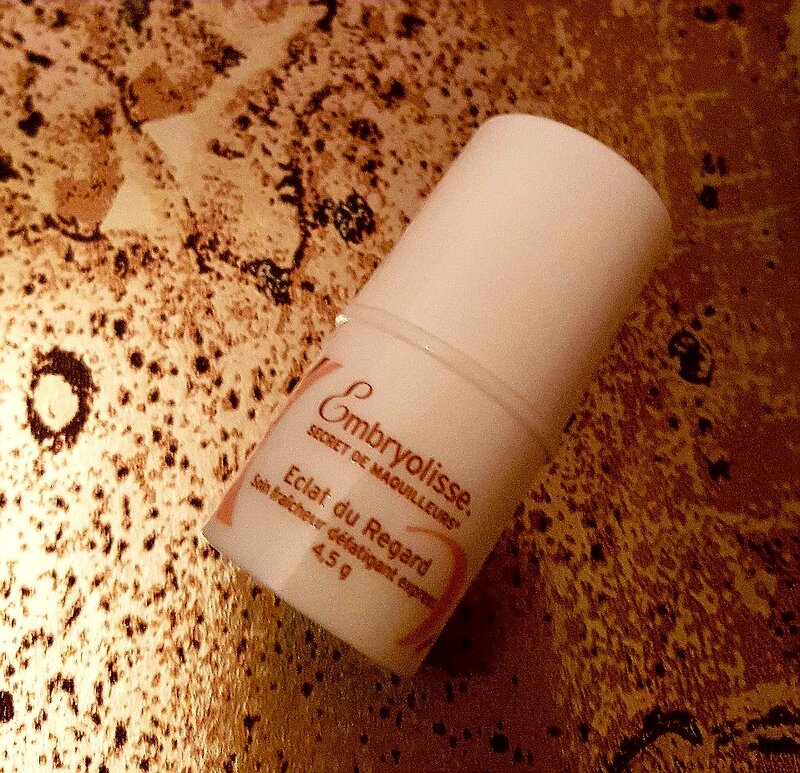 However, I really love the Embryolisse Radiant Eye. It’s so cooling and moisturising. It’s ideal for puffy and tired eyes. Although, I’m not too sure it’s effective on fine lines and wrinkles, so if you know of an eye cream that is, please let me know below! It’s on the pricey side but you literally roll it under each eye once and you’re done so it will last for ages. I also love the fact that it comes in a stick rather than a cream. Price: €24 and you can buy it here. I never liked the idea of a face cloth. When I thought of a face cloth, a smelly towel came to mind! When the Cleanse Off Mitt was released, I bought into the hype and purchased one. I didn’t repurchase one (I’ll talk about that another time). 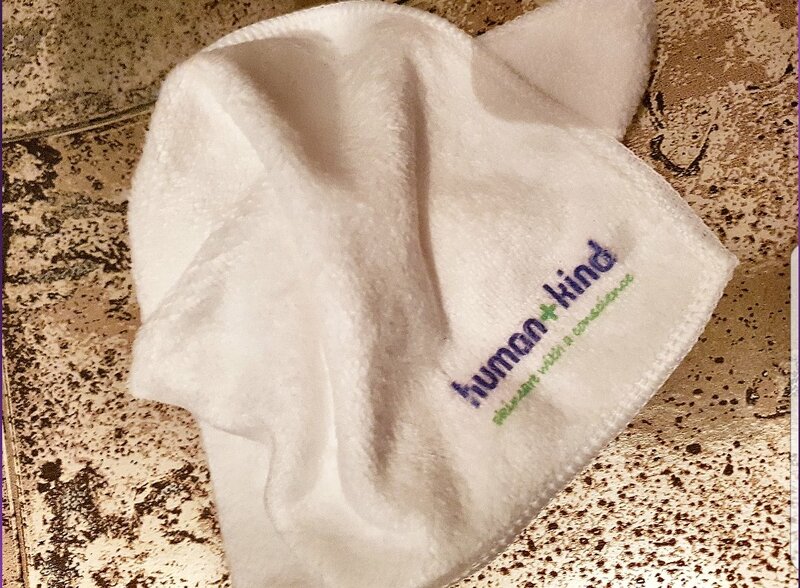 Then I was given the Human & Kind Cleansing Cloths to try and OMG… game changers! I’ve written about them before which you can read here. In short, you need them in your life. Price: €6.95 for a 2 pack. If you sign up for the newsletter you get 30% off. This is a relatively new discovery. I had heard Pippa O’Connor mention it and when I read up on it, it was in my basket once I read that it smells like coconut! I’m obsessed with coconut, you can read about some more of my favourite coconut products here. This primer is perfection. It gives you the most beautiful dewy skin. The shimmer particulars are tiny so your skin does not look greasy at all. You can wear it on its own on no-makeup days or under or mixed with your foundation. I highly recommend it. Price: €25 and you can buy it here. 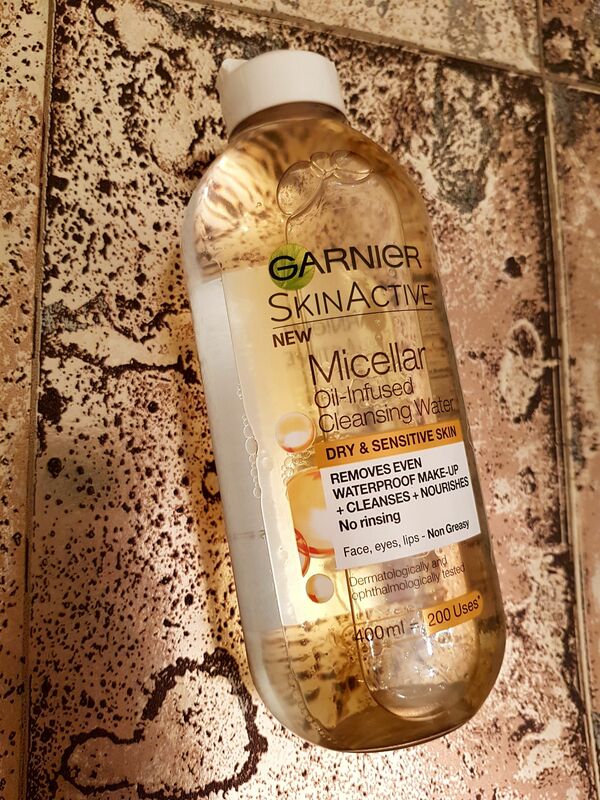 I had bought the original Garnier Micellar Water when it was all the rage but I never bought it again because I wasn’t blown away by it. However, the oil infused version interested me and I picked it up at the till in Penneys one day (the aisle of doom!). I use it as a pre-cleanser to remove the majority of my makeup. I love the way it smells and feels on my skin and I see a massive difference in my skin since I started to double cleanse. Price: €8.50 here or in most Penneys, Boots and Pharmacies. I went for an unbelievable facial at Eden Beauty Group a few months ago, you can read about that here, and Susan gave me this cleanser to try. I had only just spent an absolute fortune (it still haunts me) on Environ skincare products and so I didn’t use it straight away. When I was complaining about my skin on Snapchat (livelavishlycom), Susan messaged me and asked if I had been using the cleanser and I had to admit I wasn’t! She told me to start and promised it would clear my skin up. I have been using it since and now I’m on my second bottle. It’s a foaming cleanser and is fantastic at removing makeup. I use the micellar oil first, then this, and the combination of both has meant that my breakouts have been few and far between. I am so happy with my skin and I think this cleanser has a lot to do with it. I really notice a difference in my skin if I stop using it even for a few days. Price: €39 and you can only buy it here in Ireland. 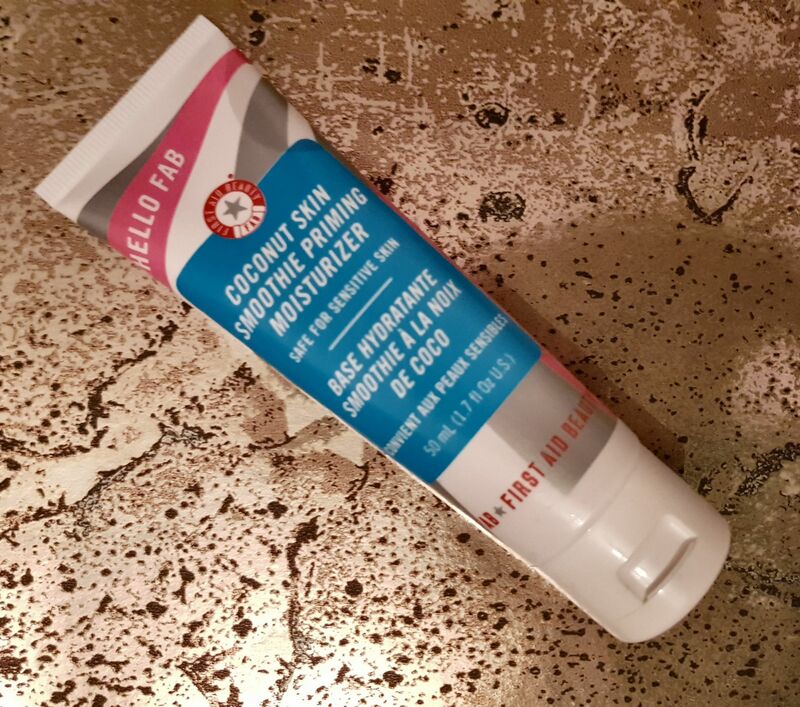 The AFAs ExZit Gel is unlike any skincare product I’ve ever tried! It’s a gel and I put it on every night that I’m not using the Trilogy oil (I switch them around). It kills spots so quickly that I was sure it would dry up my skin. This is the weird part… it’s so moisturising! When I wake up in the morning my skin is dewy! 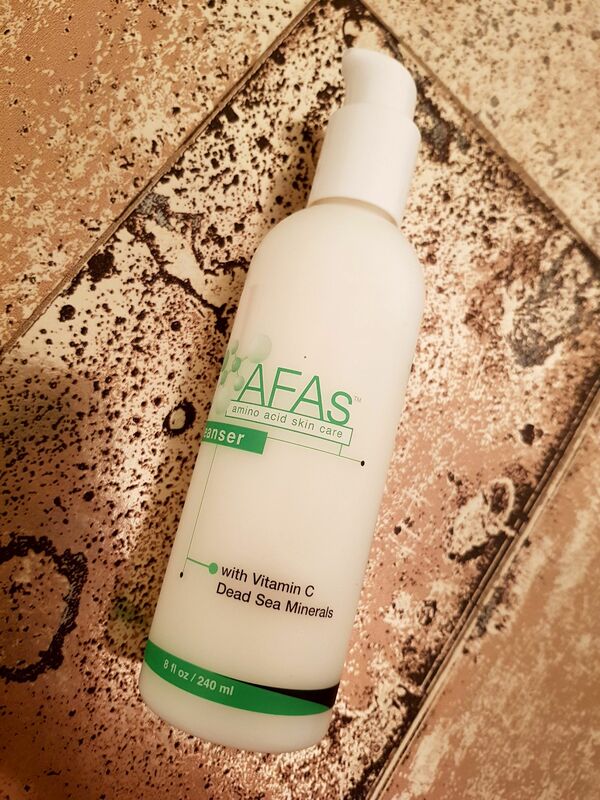 AFAs are based on the same amino acids that play an integral part of our skin’s natural moisture system. They are clinically proven to increase moisture levels in the skin by 3, and because they exfoliate so deeply, they’re effective in reducing fine lines, pigmentation, rosacea, acne scarring and sun damage. The gel comes in 4 strengths, I have the weakest one which is great for sensitive, acne prone skin and rosacea. Price: €34 and you can only buy it here in Ireland. Do you have a thermal water spray in your handbag? If not, you really should. 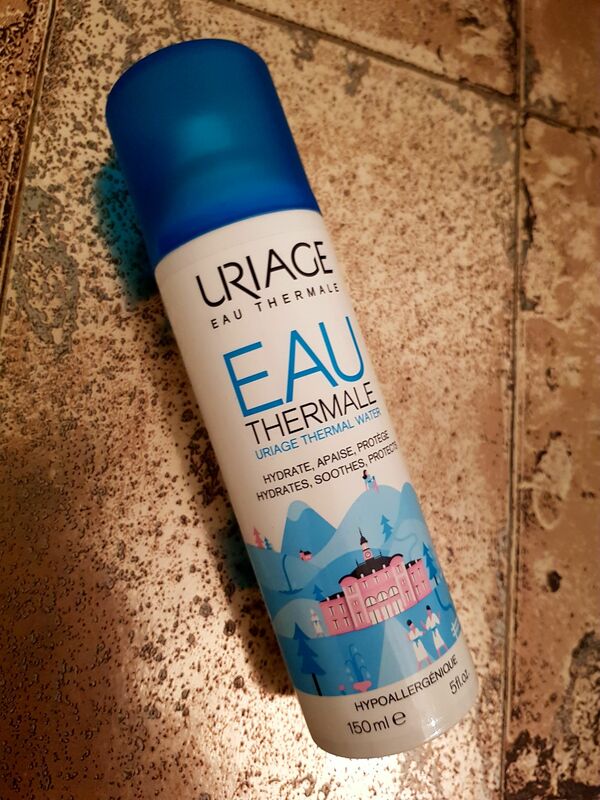 The Uriage Thermal Water Spray has been my best friend this year and has travelled around the world with me! When I’m in Ireland, I use it as a finishing spray on top of my makeup to give it a fresh, dewy look. If I’m somewhere hot, myself and Darren use it as a cooling spray (it stays cool in the bottle which is awesome). When I’m somewhere cold, and in the Winter, I use it before and after my makeup because my skin gets dry in the cold. Finally, when I’m having a no makeup day, I spritz myself with this so I look half alive! It’s such a multi-purpose product, both myself and Darren love it! So it definitely deserves the title for the Best Handbag Hero of 2017. Price: €11 here for the HUGE bottle but you can get a smaller one that is much handier for carrying around. They’re about €5 and in most pharmacies nationwide. This is by far the most effective mask on breakouts that I tried this year. I apply it with a foundation brush (less messy) and it dries after a couple of minutes. I leave it for about 10 minutes and while I’m washing it off, I rub it in circles for extra exfoliation. My skin does be super soft after removal. This is weird but my favourite thing about this mask is that you can see your pores when it dries, I know, weird! Price: €11.50 and you can buy it here. Does this really need commentary considering I gave it the title of Best Overall Skincare Product 2017? 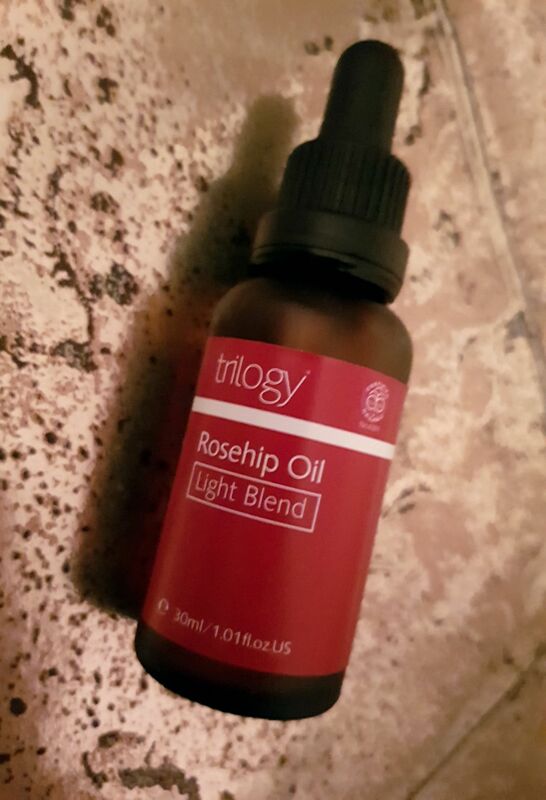 If you have dry skin, oily skin, combination skin; basically if you have skin…you need this! It improves the tone and texture of your skin as well as being anti-aging because it is full of antioxidants. It’s an oil so it is extremely effective on dry skin. The bottle is small but you just need a drop for your entire face since it spreads so easily. Don’t worry if you aren’t a fan of oils, this absorbs super quickly so you won’t feel greasy! I leave it on overnight and I wear it under my makeup in the Winter. It has without a doubt worked wonders for my skin, especially with reducing my acne scars, which are almost completely gone now. Price: €36.95 and you can buy it here. It is worth every cent. I’ll never be without. My blog really does push me want to try new things and my haircare was no different. I have tried loads of new shampoos and conditioners this year and I can confirm, a new favourite has emerged! 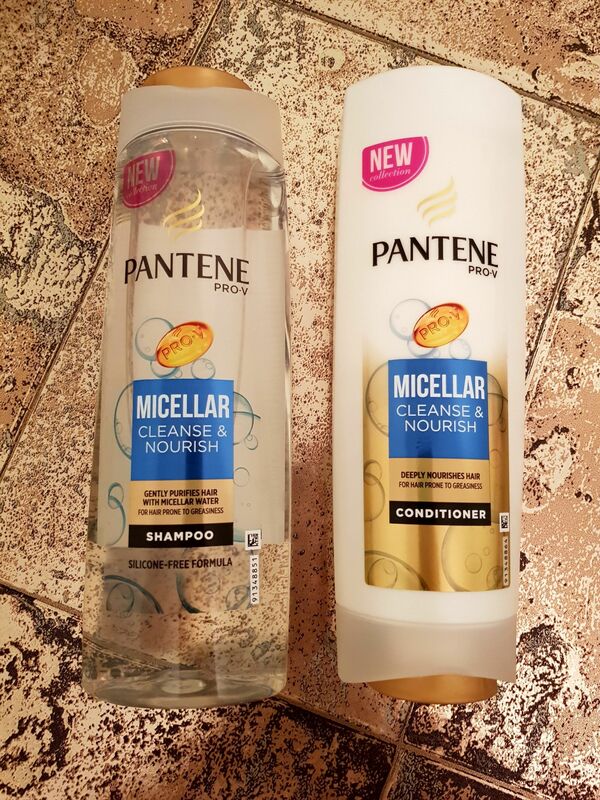 By far, the best shampoo and conditioner I have tried to date is the Pantene Micellar range. It smells divine, leaves no residue, thanks to the micellar technology; and leaves my hair so soft and shiny! A lot of my followers have bought these on my recommendation, they have not been disappointed and you won’t be either. Price: €2.50 each here because they are half price in Boots at the minute! Buy them all! This is the only hair treatment that has stood the test of time for me. I’m using this years, my mam used it on my hair when I was younger, and I still use it. 3 minutes and you are done. I honestly don’t have the time to let a treatment set for anything longer than that so this is a god send! 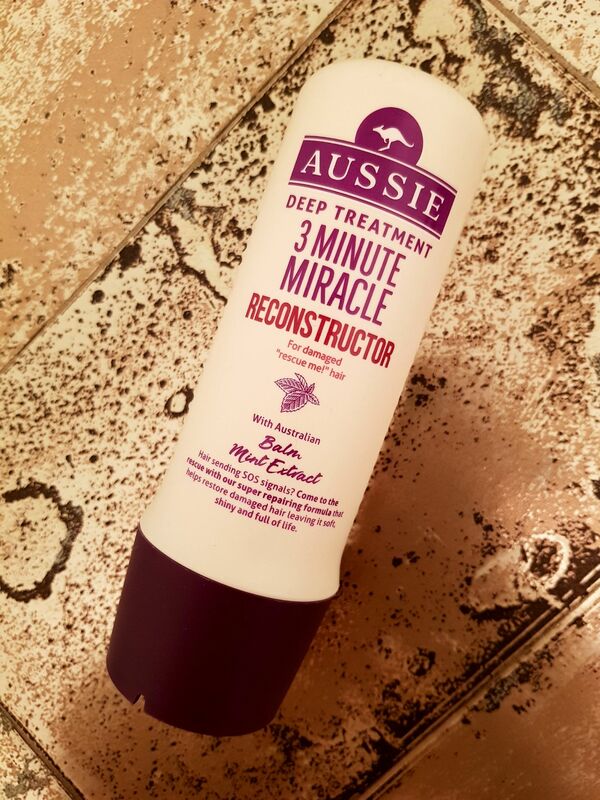 Aussie have added a lot more to the 3 Minute Miracle range over the years. The one I have been loving is the “Reconstructor”. It smells DIVINE, I could eat it and my hair drinks it up, leaving it super soft, shiney, moisturised and nourished. I definitely recommend this if you have knotty, dull, damaged hair or just want your hair to smell unbelievable. The price is so cheap too considering how long it lasts! Price: €6 and you can buy it here. That’s it! I hope you enjoyed that round up of my favourite beauty products of this year. If you want to read about my favourite makeup products, click here.